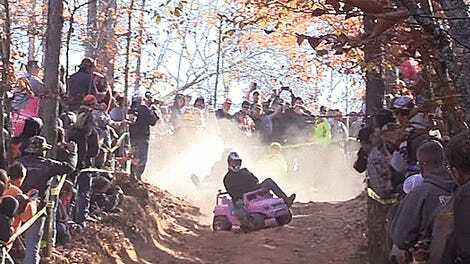 If there’s any one kind of racing that gets universal approval from the Jalopnik staff, it’s Extreme Barbie Jeep Racing. It’s the safety-third pastime of flinging yourself down a steep hill on a children’s ride-on, and the wipeouts are incredible. It’s truly racing for the people, and we love it so much. 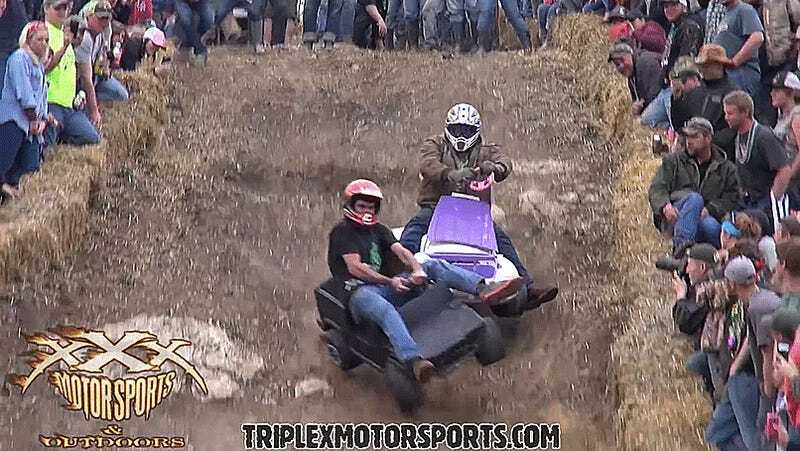 It’s even fine to giggle at Barbie Jeep Racing’s lowlight reels, as the biggest injury seems to be a scraped elbow. 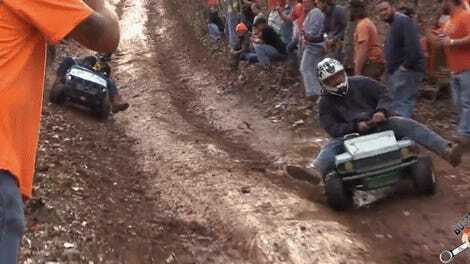 Some competitors get chased down the hill by their cars, or have a wheel off their car beat them over the finish line. Let’s also not forget the people who just pick up a chunk of car and run over the finish, either. This is what real racing looks like when you bring it back to its roots: bored folks finding an entertaining way to kill time with a common item they can race. 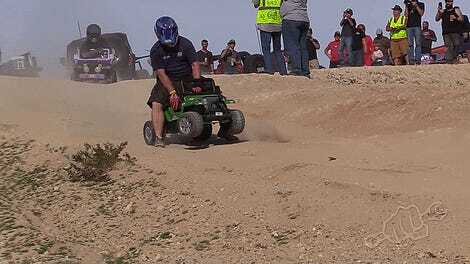 UPDATE [12/4]: The venue that hosted this event—Rednecks with Paychecks Offroad in Saint Jo, TX—got in touch with us anyone wants to try it out. Their next event is RWP Spring Break on March 15-18. Don’t break a leg!